After blocking the part of a heating main, each pipe is connected to the trunk pump. Then the water from one pipeline is pumped with additional pressure to another one. The drop in pressure indicates a possible leak. 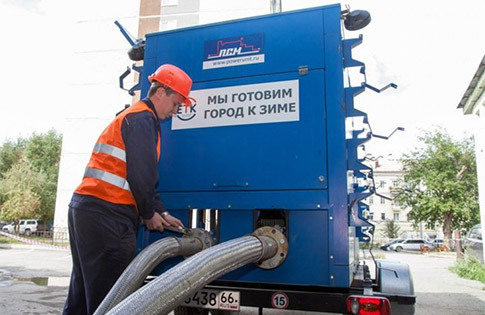 PSM has engineered a special offer for a heating system companies: mobile pressure testing units for strength and leakage testing of pipes before and after heating season. Mobile pressure testing units allows you to test small sections of the heating main and shortens the period of the seasonal shutdowns of hot water up to 3 days. There is no need to raise the pressure on the heat sources and test all the mains simultaneously. 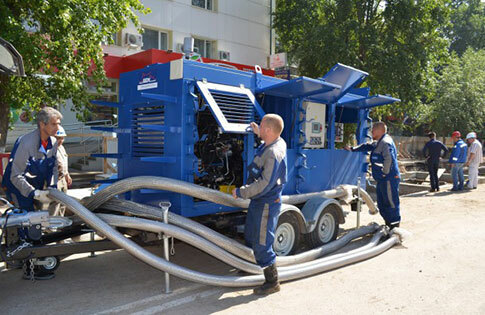 Mobile pressure testing units makes hydraulic tests of heating system more effective, prompt and safe. The metal canopy protects the unit from precipitation and mechanical damage. It is provided with the side doors for the quick access to the main components. The canopy has special holders to move the metal pipe with a diameter of 20 cm and a length of 10 m.
A bypass line is equipped with a electric valve. It provides gradual increase of pressure during the hydraulic pressure testing. The control system is made on basis of two microprocessor-based controllers. It is responsible for fully autonomous operation of the unit: it increases and holds the pressure, determines the breakthrough of the pipeline and shuts down the unit in case of an accident. 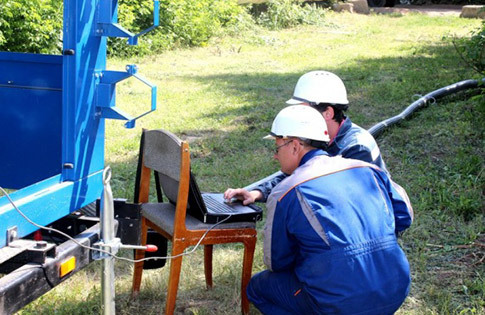 All data is transmitted to a computer by wi-fi and allow you to monitor the work of the mobile pressure testing unit remotely. Main elements of the unit are joined by the PTO. 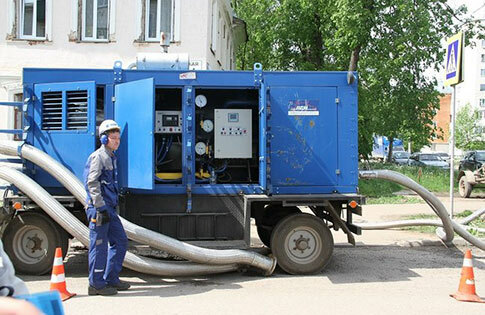 It allows you to disconnect the pump and operate at «idle» - for example, for warming up the engine before operating. The trailer on the two-axle chassis allows transporting the unit by car of any kind to any part of the heating system. The pressure and suction lines work effectively thanks to built-in sensors and pressure regulators. 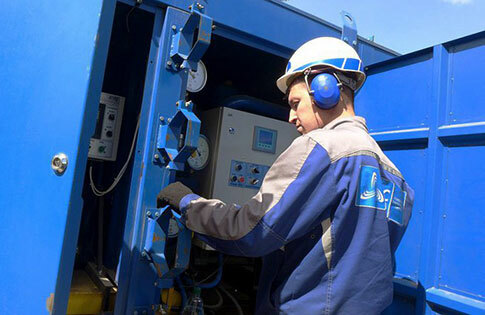 The mobile pressure testing unit increases the quality of the tests by 40% and reduces the probability of accidents by 30%. 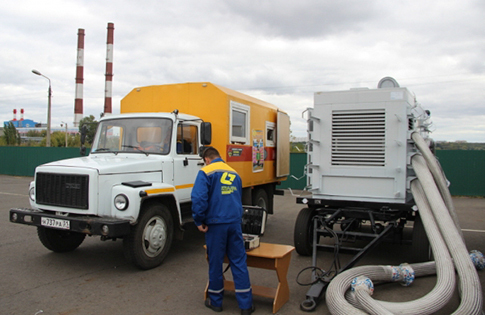 The mobile pressure testing unit tests small parts of the heating system in sequence. It is quickly to find a breakthrough and there is no need to stop all work at once. 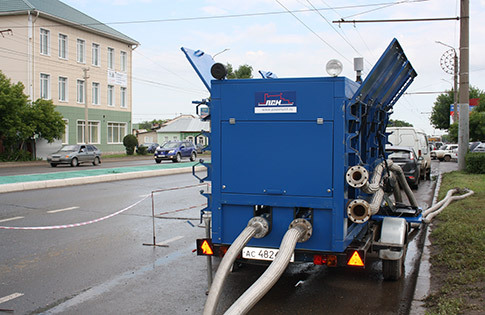 During the tests there is no need to stop the water supply to the whole areas of the city. 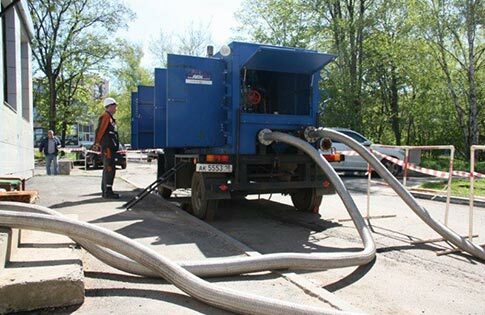 You can carry out hydraulic testing of pipes avoiding any inconvenience to neighbouring areas. Working hours are not spent on maintaining the pressure, bypassing the entire heating system and numerous checkpoints. As a consequence, the period of cessation of hot water supply is reduced from 14 to 3 days. 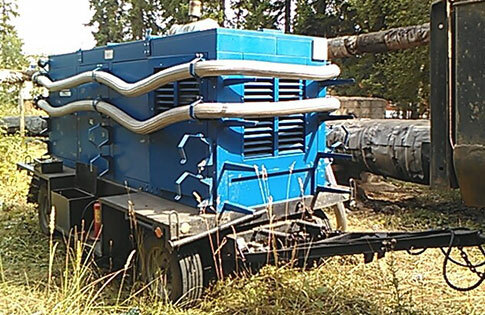 The mobile pressure testing unit tests more carefully taking care about infrastructure. It is particularly important in case of the large wear of heating mains. It reduces the number of breaks and accidents, the risk of injury and damage to property both during and between tests. 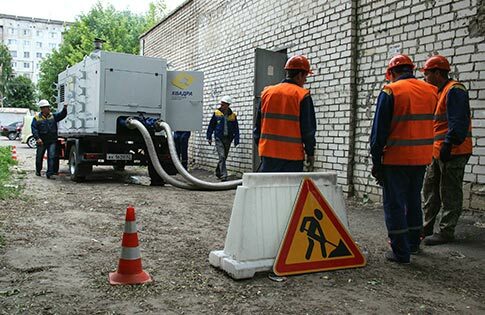 Regular pressure testing of the heating main with the help of the mobile pressure testing units allows you to keep heating networks in working condition. 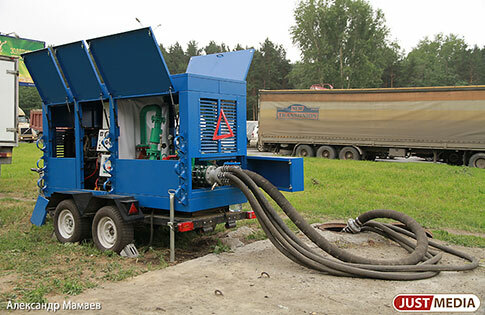 The lineup of the mobile pressure testing units includes 6 types, which differ on flow and maximum pressure provided. This broad range allows to choose the equipment for pipes of any configuration and status. It is possible to use Doosan (South Korea) or Volvo Penta (Sweden) engines. 2010 The first samples were produced in. For the first three years, PSM has created 32 similar units. 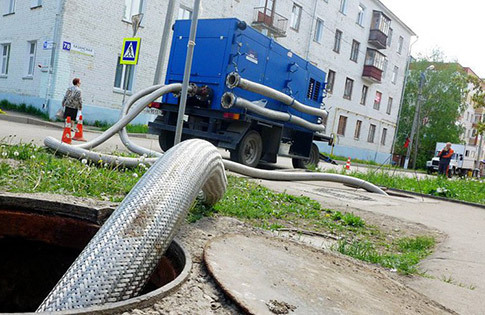 Information Agency OnlineTambov.ru: The new equipment of the «Quadra» will shorten the hot water shutdown in Tambov for a few days. Official Site «T Plus»: Presentation of the work of the local testing machine. 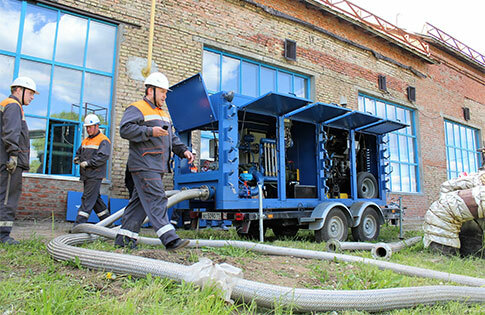 The first results of the start of hydraulic tests in Kirov.